Convertible bonds are almost always callable. This means that a convertible bond is really a package of three securities: a straight bond, a call option held by the bondholder (the conversion feature), and a call option held by the corporation (the call provision). Put Bonds Put bonds are a relatively new innovation. The owner of a put bond has the right to force the issuer to repurchase the bond at a fixed price for a fixed period of time. Such a bond is a combination of a straight bond and a put option; hence the name. For example, in Chapter 7, we briefly discussed a LYON, a liquid yield option note. This is a callable, puttable, convertible, pure discount bond. It is thus a package of a pure discount bond, two call options, and a put option. Insurance and Loan Guarantees Insurance of one kind or another is a financial feature of everyday life. Most of the time, having insurance is like having a put option. For example, suppose you have $1 million in fire insurance on an office building. One night, your building burns down, which reduces its value to nothing. In this case, you will effectively exercise your put option and force the insurer to pay you $1 million for something worth very little. Loan guarantees are a form of insurance. If you loan money to someone and they default, then, with a guaranteed loan, you can collect from someone else, often the government. For example, when you loan money to a commercial bank (by making a deposit), your loan is guaranteed (up to $100,000) by the government. 1980) were saved from impending financial doom when the U.S. government came to the rescue by agreeing to guarantee new loans. Under the guarantees, if Lockheed or Chrysler had defaulted, the lenders could have obtained the full value of their claims from the U.S. government. From the lenders' point of view, the loans were as risk-free as Treasury bonds. These guarantees enabled Lockheed and Chrysler to borrow large amounts of cash and to get through difficult times. Loan guarantees are not cost-free. The U.S. government, with a loan guarantee, has provided a put option to the holders of risky bonds. 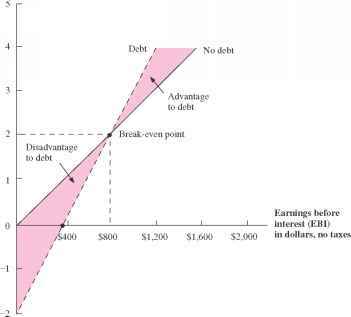 The value of the put option is the cost of the loan guarantee. This point has been made abundantly clear by the collapse of the U.S. savings and loan industry in the early 1980s. The final cost to U.S. taxpayers of making good on the guaranteed deposits in these institutions was a staggering $150 billion.